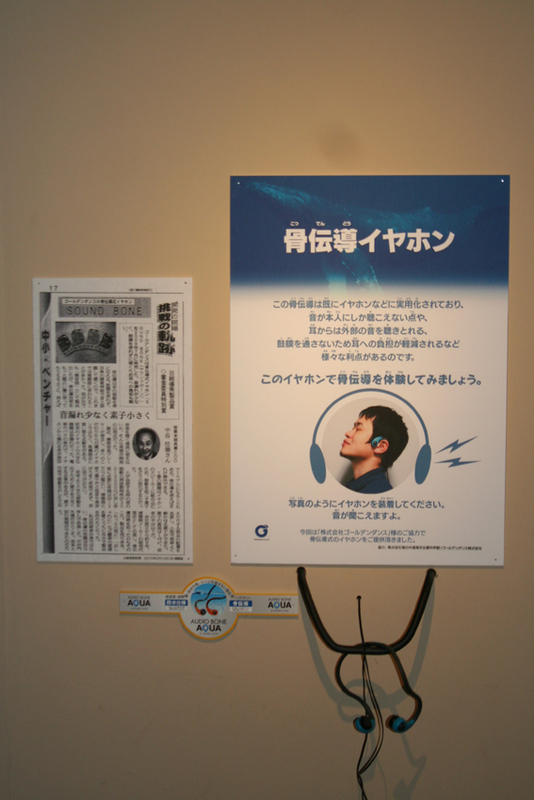 [2010.12.08] Our bone conduction headphone is displayed at Aqua Totto Gifu, Aquarium. Title [2010.12.08] Our bone conduction headphone is displayed at Aqua Totto Gifu, Aquarium. Our bone conduction headphone is displayed at Aqua Totto Gifu, Aquarium. "Audio Bone Aqua" is displayed at Aqua Totto Gifu and you could listen to it. Project: Learn from the nature! Learn from life! Term: December 3rd 2010 to March 13th 2011. Copyright (c) 2010 Goldendance.co.,Ltd. All rights Reserved.